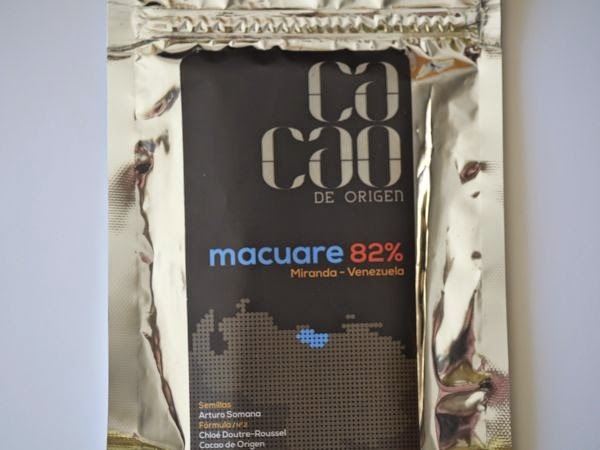 Cacao de Origen is bean-to-bar chocolate at its most specific -- created with beans from single region and plantation, these bars are all from Venezuela (and are hard to get in the U.S.). 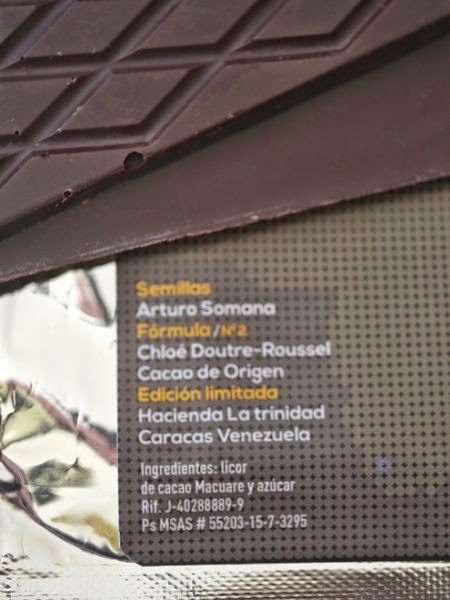 Chocolate experts at Cacao de Origin + Chloe Doutre-Roussel formulated this slim pair of bars (two in one package/pouch) with two ingredients: 1.) Macuare cacao beans from Arturo Samana, Miranda, Venezuela, and 2.) sugar. 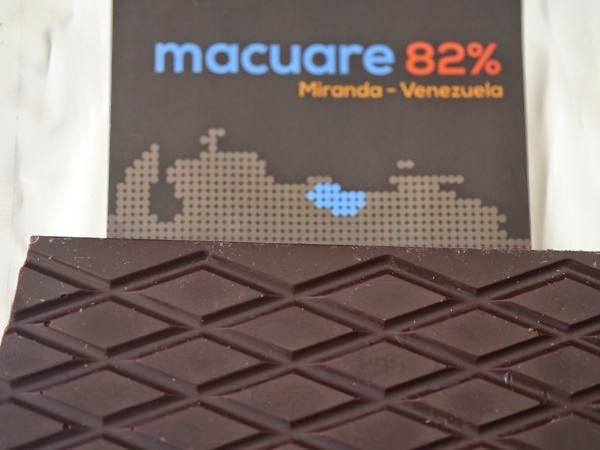 This Macuare 82% dark bar was darker than most single origin bars (less sugar), and was a merry-go-round of interesting flavors. It started with an intriguing aroma -- floral, salty earth, leather. The tasting experience unfolded in a unique, complex, but balanced, way. For example, there were also some slight bitter notes, but all these flavors were somehow kept in balance. There was just the right amount of sugar -- enough to add some brightness, but not enough to interfere with or mask the complex range of dark flavor notes. Today was Day #5 of Chocolate and Venezuela Theme Week.